Everyone is interested in ways that they can get more done in less time, especially in the morning. No one has the time or patience for a super complicated skin care regimen, even when we really want to take care of our skin as each year passes! It goes without saying that one’s efforts at saving time are not intended to result in problems, which is why we may sometimes overlook certain areas. There’s a fast and simple way to implement taking care of your skin without overstretching your short morning timeframe! For example, of all the morning activities you’ve tried to save time on, chances are you’ve walked away from your bathroom counter and avoided eye contact with that jar of expensive moisturizer that you splurged on without using it. Your skin is the largest organ of your body and the first thing that others notice about you. Taking proper care of your skin each and every day is part of keeping it healthy, comfortable and beautiful, so naturally, your skincare routine is very important. Fortunately, there is a way to save time with your morning skincare routine–without adding an obscene amount of time! Instead of cleansing, consider a toner or peel. Thoroughly cleansing your face can take time, and while it is time well spent it can be moved elsewhere in your day–specifically, to the evening and before bed. In the morning, skip the thorough cleansing process and simply apply a gentle toner or stronger exfoliating peel and you’ll be good to go. If you really want to cleanse in the morning, try to find a combined cleanser and toner to help you save time. Make your eye cream your lip cream. A good eye cream is an essential part of your skincare routine, and it can save you time when also used as a lip cream. Some eye creams are even intended for these dual purposes, but any good eye cream should be gentle enough to work well in both areas. Find a multi-tasking day cream or serum. We all dream of the “one product that does it all” while simultaneously recognizing that such a product doesn’t and may never exist. There are some day cream and serum products, however, that are good at multi-tasking and work to boost collagen, shield the skin from environmental damage, and hydrate and nourish the skin. Skip the foundation. It takes a long time to apply moisturizer, wait for it to dry, and then apply foundation. Then, to add insult to injury, many foundations work to enhance fine lines rather than hide them, and you find yourself “touching up” throughout the entire day. The result is layers of caked-on makeup that is unattractive and not at all time-efficient. Instead of applying foundation, consider using a concealing moisturizer cream or tinted moisturizer! Do more at night. The more of your skincare routine that you complete at night is the less you’ll need to do the following morning. Night time is the perfect time to cleanse your face, use retinol creams and apply targeted treatments. Super-hydrating serums can also work wonders to keep your skin hydrated for a full twenty-four hours after application, which means you won’t have to apply moisturizer in the morning. 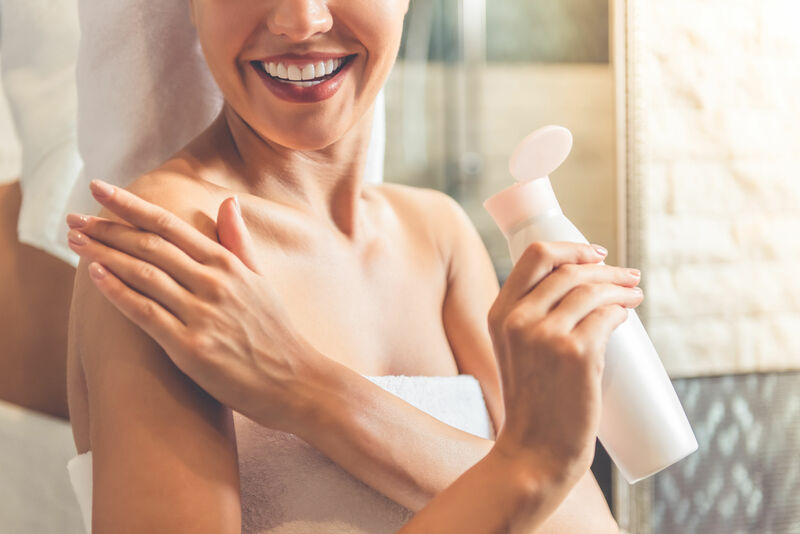 Of course, one valuable way to save time on your morning skincare routine is to make sure that your skincare routine is right for your skin and doesn’t include anything that could harm it. It’s best to consult an aesthetician for advice and for a more in-depth care for your skin with a monthly facial! For help in learning more about your skin type and its needs, plus a whole list of incredible facials, contact Botanica Day Spa in Clearwater, FL today!